In an incident which has never happened before in the States, a Colorado woman who wishes to remain anonymous is claiming that her Apple iPhone 4 caught fire while she was charging the phone overnight. She comes forward in an attempt to pressure Apple into to publicizing the issue so that owners of the model can be warned that the phone can be combustible. The incident occurred on a recent trip east and the victim said she awoke in the early morning to find her year-old white Apple iPhone 4 making "sizzling" and "popping" noises. After an "immense crackling" which she described as being "not quite an explosion," she said a putrid smell filled the air while clouds of smoke came from the phone. For some reason, the smell reminded her of swallowing plastic. A picture of the device after the incident shows a bulging battery that pried apart the casing. The power outlet was inspected and found to have no malfunction that would explain what happened. When the woman presented the device and asked to be upgraded to an Apple iPhone 4S, the manufacturer refused and gave her a replacement Apple iPhone 4. The woman said, "I would have liked to have seen them say they understand this might not be something that affects everyone. But, because it happened here, [they should] put up a precautionary statement to make people aware that if their battery becomes too hot to be wary." While a similar incident took place in Australia, it has never happened before in the U.S. Back in 2011 the company extended a replacement program for the first-generation Apple iPod nano which had a defect that caused the batteries to overheat. After an investigation by the Japanese police, Apple admitted the problem and acknowledged the issue. While none of Apple's current lineup has had a problem with the battery causing a fire, some users of the recently launched new Apple iPad have complained about the tablet running hot. Apple has denied that the new tablet is running hot. Other new iPad users claim that the tablet won't work while it is re-charging. The problem seems to be that the charger is not delivering enough power. No word yet from Apple on that complaint. Here we go PA is on the warpath against apple hey Alan get a life.Or should I say Alan's on the warpath this website is getting tired. PA just can't catch a break from some of its readers. If its a positive Apple article, someone post how PA favors Apple. And if it's negative, readers say their on a warpath. Alan got the article from the AppleInsider via Mashable. It sounds like he's putting out the article for consumer awareness if anything. But what do I know? I'm just an Apple/iPhone hater right? Lol! Just venting can you tell me what started all this hatred against apple and vice versa against androd they both have there pluses but everybody or should I say a minority of posters on here hate apple. It is because, while there are plenty of decent Android and iOS users on this forum who debate nicely and respectfully, there are also a group of each who are neither good debaters, nor are they respectful. The Android folks here claim that the iOS users are worse, and the iOS users here claim that the Android users are worse... either way, who cares? It stinks either way when Phone Arena (whether it's Michael or Victor or Alan or Ray, or whoever) posts a perfectly decent and verifiable news article, and all the extremist fanboys on the side that takes offense say, "No it di'nt! PA tell us all LIES! You PA journalistic person you a bad bad monkey!" Once again in this case... PA posts the news... since it is news about an iPhone battery catching fire for no legitimate reason, the Apple extremists get on here and complain that PA hates Apple... "Why you PhoneArena hate Apple soooo much? My iPhone is da best, my battery never blowed up! You all LIARS!" The same thing happens when Android extremists see one of Victor's pro-Apple iOS-Android comparisons... many of his points ARE valid, but the offended extremists do the same thing... "LOLwat! My LG Optimus is sooo much smoother than iOS even on iPhone 4S! My 3.2mpic cam takes better pics than the 8mpic garbage on that iPhone4S, 2! Why you hate on Android so much iPhoneArena!?!" Some people need to stop being such pompous snobs and get over themselves... in the mobile device sense... so they don't take things so personally, and before they post garbage comments to try to fight what they think is "garbage"... but is really the actual and applicable mobile industry news of the day. It's more like you're an Apple fan boy and cannot, like Apple, admit that Apple has defective devices. You see what Im talking about whateverman. Lol! I hear you bro! I'm no better, I've done the same thing myself at times and I've vented about PA too. You strick me as a tech guy and I think the true fanboys on both sides have made it popular to hate on Apple or Android, while real tech fans get caught in the cross fire a lot. Criticism often sounds like hating, but I think most us here are just venting too. 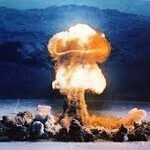 I have to say Alan i really love the bomb explosion picture you used to represent this article! it really makes the exploding iphone fault all the funnier ! Cool! Love this ibomb feature of the iphone! "Apple admitted the problem and acknowledged the issue." So they can do that! Completely agree it could have been an android phone it wouldn't suprise me if this happens to one SG2 if you sell millions of units its bound to happen to at least one unit. Batteries are the most unstable part of your phone. Another day another apple issue! Will we see a new ipad overheat to the point of igniting by the end of the week by any chance?! I wonder if something could short out if there is some kind of power surge. I know that there are some electronics that would do that if there was some kind of power surge and it wasn't plugged into a surge protector. I think that Apple should at least acknowledge the fact that they can make defective devices and at least replace the phone with the same model and storage size, if not a storage size larger. She was just CHARGING IT WRONG,i mean u cant sleep while u charging it! "This is what happens when you charge your iPhone during the night... ... let your iPhone charge during the night. This has been a public service announcement. We now return to your regularly scheduled programming..."
This could be a serious problem, I remember nokia BL 5C battery series that were made in China or Indonesia were called back and replaced by new one by Nokia. Reason after 200 or so charging cycles the batter overheats and may burn on charging. It was a good move by Nokia and they took it pretty seriously by putting customer safety first. Apple should do some thing similar provided they accept there is a fault in first place. Everything is ok, catching fire is "within Apple thermal specifications" lol. Now seriously I don't think this is an issue giving the statistically insignificant number of cases (at the moment).